1LT Frank Walkup IV died June 16, 2007, in Kirkuk, Iraq, from injuries sustained when an improvised explosive device detonated near his position during dismounted operations in Rashaad, Iraq. 1LT Walkup’s military awards and decorations include the Purple Heart, the Bronze Star, and the Combat Infantryman’s Badge. Frank, whose hometown was Woodbury, Tennessee, was the eldest of nine brothers and sisters. A family that was familiar with the Army life and its frequent moves, Frank had no problem making friends due to his outgoing personality. He was a good student who scored in the top percentage of his class academically and was a member of ROTC, according to his father, Frank Walkup III. “He never got into any trouble,” he said. “He was somebody his peers looked up to. He didn’t bend to their wishes. He never did drugs and had no problems with the law.” Frank graduated from Riverdale High School in Murfreesboro, TN, and then went on to graduate from the University of Tennessee in Knoxville in 2005. It was there that he met his future wife, Sabita. Upon graduating from the university, Frank was commissioned as a 2LT and would go on to officially join the Army in June of 2005. Although he could have picked any job he wanted, Frank chose the Infantry and was assigned to Schofield Barracks, Hawaii. 1LT Frank Walkup IV was 23 years old from Woodbury, Tennessee. 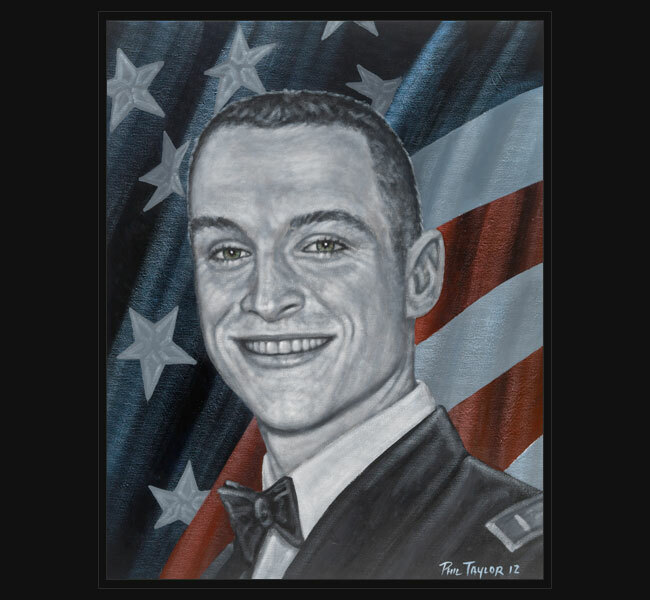 Original portrait was presented May 22, 2012 to his parents during a special event hosted by the Veteran’s Administration and held at their Washington, DC headquarters.